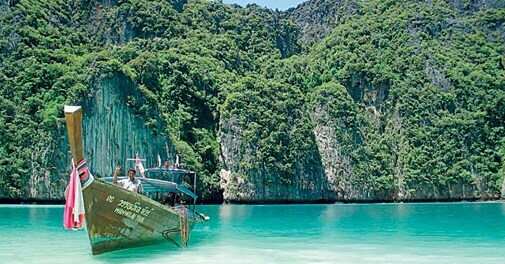 The country introduces an attractive visa-on-arrival scheme for Indian tourists coming through Singapore or Thailand. Now, the land of tranquility is not even a visa queue away. Fancy visiting the land of Mount Kinabalu and the Mulu Caves without the requisite queues and paperwork at the local Malaysian embassy? The Southeast Asian country has come up with a scheme that will bring a smile to the faces of many an Indian tourist - albeit with a rider. From January 1, 2014, Indians travelling to Malaysia are being allowed to obtain visas on arrival, on the condition that they travel through Singapore or Thailand. You can avail of the facility if you have a valid Singaporean or Thai visa, along with confirmed tickets back to India. Pegged at $100 (Rs 6,150), the visa on arrival stands to benefit tourists landing at any of these airports - Kuala Lumpur International Airport, Low Cost Carrier Terminal, Penang International Airport, Sultan Ismail International Airport in Johor Bahru, Kota Kinabalu International Airport in Sabah and the Kuching International Airport in Sarawak. Though Musafir.com is just a newbie in the bustling world of online travel planning, it is already making waves through an integrated marketing campaign across television, radio and digital channels. Highlighting the ease with which it can help customers travel to their dream destinations (through tempting deals on flights, hotels and holidays), Musafir.com encourages its prospective client to "Stop dreaming, start travelling". The television advertisement - for its part - has Sachin Tendulkar posing as a mysterious photographer at a mela, metaphorically transporting people lining up in front of him to their dream destinations. Well, the Musafir may have its marketing strategies down pat, but let's see how it fares against competitors like MakeMyTrip and Yatra. 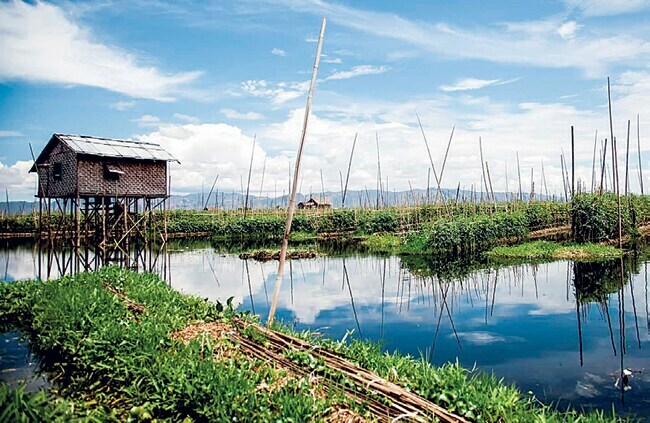 No longer does the world think of Myanmar as a victim of the dark ages; it's now a budding tourist destination that's evoking the interest of people worldwide. A luxury all-suite ship, custom-built by local Burmese craftsmen, is set to sail the virgin waters of the once-reclusive country soon. Catering to guests of the Sanctuary Ananda, it will make its way through the Ayeyarwady and Chindwin rivers - with guided excursions to temples, pagodas, monasteries and ancient towns - over a period of 11 days. Need more? The ship will house indoor and al fresco restaurants, a spa, gym and 21 suites equipped with balconies. Bask in the northern lights at the Inishowen Peninsula, Ireland. 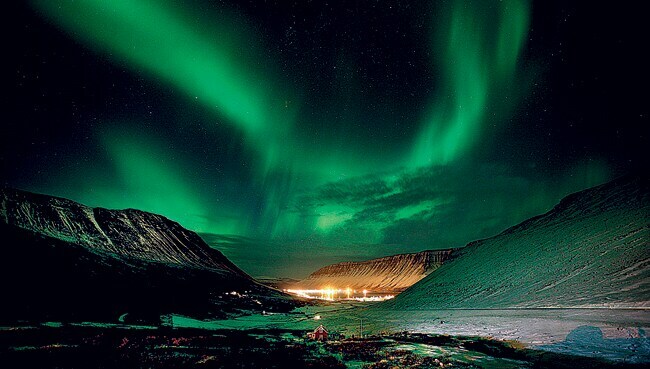 So, the northern lights have been on your bucket list, but you don't feel like a trip all the way to the Arctic Circle? Don't lose all hope yet, you could still bask in the beauty of the phenomenon from Ireland's Inishowen Peninsula - located in the far north. The lights have already arrived at the remote location, and they are expected to stay right until the March equinox. And as 2014 is a peak year in auroral activity, the lights will glow brighter than they have in the past ten years. When you are not staring at the sky, you could camp out on Donegal beach, get a taste of Irish hospitality at one of the tiny villages nearby, or head to the medieval castles littering the area. What's more, Indian citizens with a valid UK C General Visa can visit Ireland without obtaining separate travel documents. No more standing in pesky queues to watch the lights come on! Have you ever looked down at a breathtaking mountain cliff - complete with snowclad cliffs and rocky boulders - and felt a wild urge to step off? Marvellous as the experience will be, you may not come back in one piece to tell the world about it. 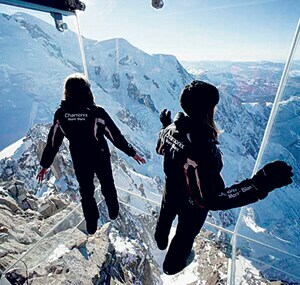 A healthier option would be to make use of the latest tourist attraction to come up on the French Alps - a transparent glass cube called Pans dans le Vide (Step Into the Void), which simulates the sensation of standing 3,842 metres above sea level on the Mont Blanc Massif range and gives you an unparalleled panoramic view of the icy surroundings. Don't worry about the cube cracking - the structure is built from three layers of tempered glass and can withstand winds of more than 220 km/h. When the Beatles first suggested that we co-habit a yellow submarine, they probably didn't mean to be literal about it. And yet, if you happen to visit Albert Dock in Liverpool, don't be too surprised to find a hotel modelled on John Lennon's imagination. 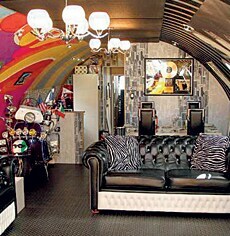 The interiors of the Yellow Submarine, inspired by the U-boat in the Sean Connery-starrer 'The Hunt for Red October', features a lounge with Beatles gold discs and a bedroom straight out of Arabian Nights - among other things. Book well in advance! This intuitive app offers weather reports for over two million geographical locations, feeding in everything from cloud formations and atmospheric pressure to wind speed and humidity. It is quite accurate, so if you are travelling to Switzerland and the app predicts snow, be sure to pack a pair of skis. The app costs Rs 199.